Security Skills Shortage – why? 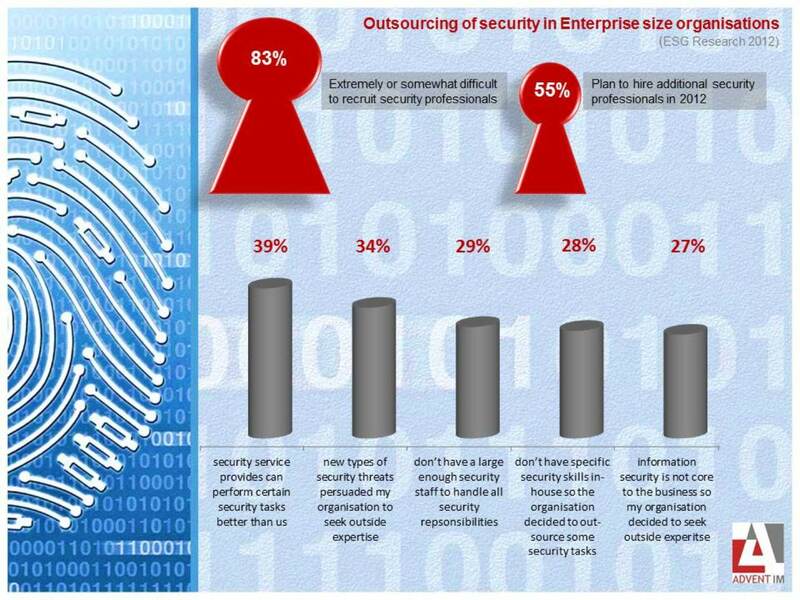 ESG Research 83% of Enterprise (1,000 or more employees) organisations are are finding it ‘extremely difficult’ or ‘somewhat difficult’ to recruit security professionals currently. It’s clear to see that security and Information Security are growing items on the Enterprise agenda. The realisation that Security staff are important for some key business enabling activities has been long-awaited by security professionals. Security professionals can see the skill gap in what is currently available as in-house resource in many case vs. what is required to realise an organisation’s plans and enabling those plans to be carried through securely. Having the budget or resource for an FTE devoted to Information Security for instance, which may be required in order to compete for certain kinds of tenders, may be beyond the capability of some organisations. Hence we see the growth in out-sourcing and buying in expertise in the visual above. Finding a way to compete in those tenders may be key to an organisations growth, but contract partners will only want ton contract with those they see as at least as security aware and prepared as they are. Given that the sharing of sensitive or confidential information may well be necessary, one can easily understand why this key business enabler is now a key focus for many organisations. This entry was posted in business continuity, cyber attack, cyber security, data breach, data protection, data protection act, data protection directive, expert security, information security, outsourced security, physical security, risk assessment, security, security advice, security awareness, security consultants, security management, training, Uncategorized and tagged Advent, compliance, data breach, data protection act, data security, disaster recovery, expert security, Facility Management, information security, ISO27001, MySecurityManager, outsourced security, risk assessment, safe data storage, secure data, security breach, security integration, security management, security threat, training on September 20, 2012 by Ellie Hurst. New White Paper now available – University Safety & Security: The factor of differentiation? A new White Paper from Senior Advent IM Security Consultant, Paul Smith MSc MSyI is now available to download free from the Advent IM website. Funding for universities has been cut by government and the hike in student fees has resulted in students reconsidering whether a degree course is in their best interest. So in the competition to attract students, can individual universities find a business advantage to provide that crucial differentiator between their establishment and a similar university? 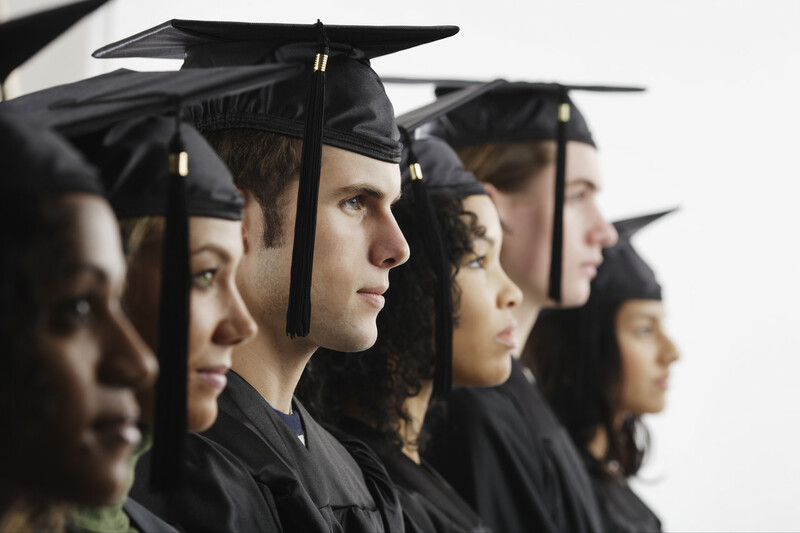 The provision of safety and security is not consistent across the higher education sector. Some universities embrace the benefits of establishing a security culture and providing an overt safety and security service, while others fear that overt security at a university gives the wrong impression. i.e. that there must be something wrong or crime must be prevalent. If students are to attend university and it’s down to a choice between a number of universities that offer similar courses, research facilities and standards of accommodation, but one demonstrates a clear service advantage over the other, will it make the difference to the decision made by parents or students? The White Paper considers this, together with other considerations regarding the provision of effective security for universities. This entry was posted in education, information security, physical security, security, security advice, security awareness, security consultants, security management, Uncategorized and tagged Advent, information security, Integrated Security, physical security in education, Security, security breach, security integration, university, university security on September 19, 2012 by Ellie Hurst. Every once in a while, some stats will appear that capture everyone’s imagination and prove to be a sub editor’s dream for headlines. The Big Brother Watch FOI report release this week has brought with it a wealth of headline opportunities, many of them toilet related and all quite breathless in their indignation. But the placing of cameras in private places is just the beginning of the story. 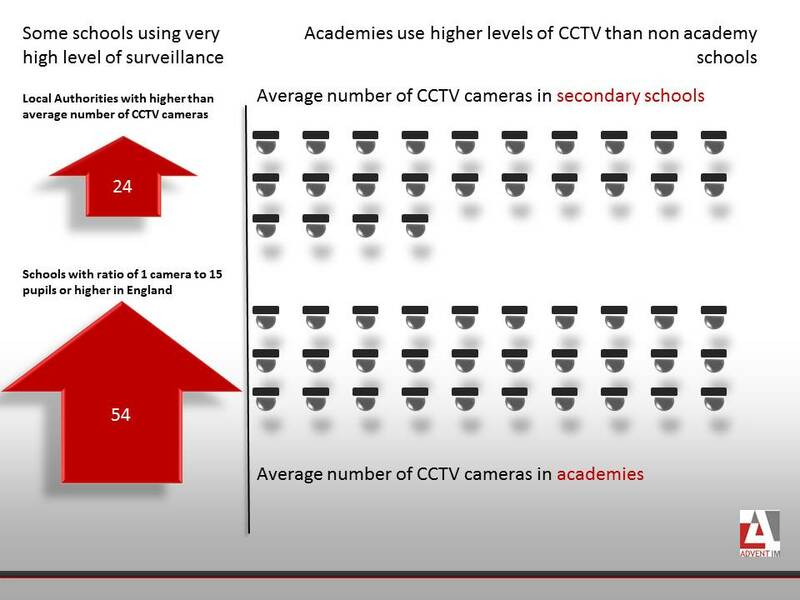 Whilst as security professionals we can totally understand the general public’s shock at the level of CCTV use in secondary schools and academies, we were as disquieted as everyone else about the use of CCTV in areas such as toilets, showers and changing areas. Not everyone realises the complexity of securing a school, college or university. There may be several buildings with varying traffic and visitors. Effective security looks at all threats and risks and treats them appropriately. So it’s not very surprising that the hue and cry has erupted over the acceptability of placing CCTV cameras in such intrusive areas. When performing one day School Security Health Checks we suggest that a Privacy Impact Assessment be carried out, for what will be now be obvious reasons. For us though it shows the beginning of the problem and isn’t an isolated issue. We deal with schools, colleges and universities frequently. One of the main things they like help with is CCTV and the Data Protection Act. A head teacher is a head teacher not a security expert but the responsibilities that come with managing the images that come from CCTV are quite expansive and are not limited to where the cameras are placed. We find that for instance, external cameras may inadvertently be recording images that they should not be. So if the camera’s field of vision includes perhaps an area of a neighbouring garden or there is a view of someone’s home, then the use of that camera is contravening the Data Protection Act and the user could be fined. Its irrelevant that this was not the intention of the user, it simply can’t be done. Also, there may be issues around storing and deleting the images. Schools need to be fully conversant with how to secure the images they have captured. Security isn’t just about the camera, the images have to be handled carefully – as happens with pupil and staff personal data and protected from either malicious or accidental breach. Deleting images when they should no longer be stored is also covered by the Data Protection Act and once again a user could find themselves in hot water if images are not being securely deleted after the allotted period has expired. Who views the images created by CCTV systems? Again this falls into the policy and procedure area when we perform health checks. Only appropriate and necessary staff should have access to CCTV images as would apply with any sensitive data for pupils or staff. If we are to use the wonderful security opportunity that CCTV affords us, we must do it securely and appropriately is the message that most comes out of the Big Brother Watch report. You can access the full report on a pdf here. We have visualised some of the key elements we thought you may find interesting. These relate to both the number and ratio of CCTV cameras as well as those found in private areas in school. Whilst we don’t mind you using them if you wish, can you just drop us a note to let us know and make sure you credit both ourselves and Big Brother Watch. This entry was posted in cctv, data breach, data protection, data protection act, data protection directive, education, eu security, Freedom of Information, government, information security, outsource, physical security, public sector, risk assessment, security, security advice, security awareness, security consultants, security management, Uncategorized and tagged cctv, cctv privacy, children act, data protection, data protection act, dpa, privacy, school security, school toilet cctv on September 17, 2012 by Ellie Hurst. 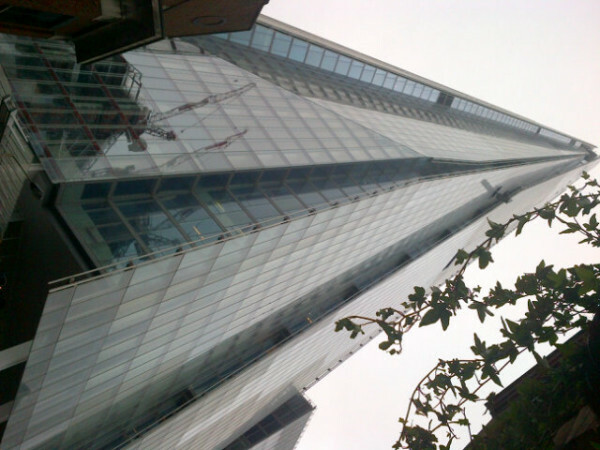 Smart Building Innovation Day – book your place now. Our very own Mike Gillespie will be speaking at this event at both the morning and the afternoon session. It will be an interesting day looking at innovation and news in building technologies, discussing various topics around a holistic view of security systems in the morning, plus some more focused discussion on key specific systems such as CCTV in the afternoon and examining the holistic approach to integrating systems. Gallagher have lined up some great speakers for both sessions. This entry was posted in information security, physical security, risk assessment, security, security advice, security awareness, security consultants, security management, Uncategorized and tagged Advent, BMS, Building Management, Facility Management, FM, Gallagher, holistic, holistic security, Integrated Security, Integrated systems, integration, secure data, Security, security management, smart building on September 10, 2012 by Ellie Hurst.